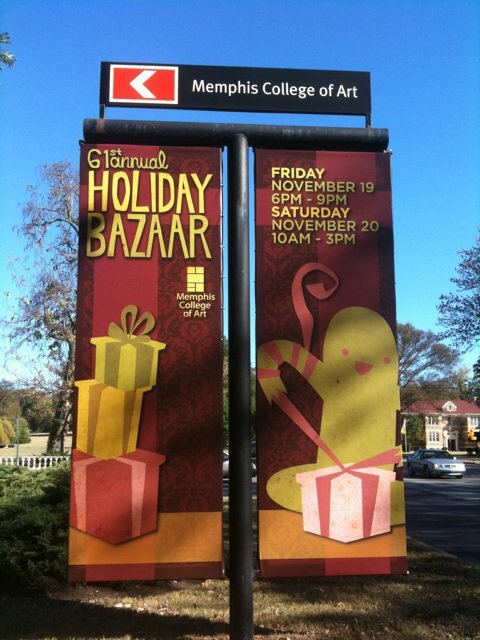 My design was chosen for Memphis College of Art’s Holiday Bazaar promotion. Fiddling with simplified vectored illos, paper texture, & drop shadows. This is my first big sign!